Keycare by Discovery Health is one of the most popular plans. Although cheap, members can stil enjoy all the incentives and benefits that make Discovery one of the most favoured healthcare providers. There are many medical aids such as Bestmed, Fedhealth, and Momentum Health claiming to have the best cover when it comes to medical aid. Discovery offer many different options that allows the public to have medical aid cover without sky-high payments. With Discovery, you get value for money. If you want unlimited hospital cover, this is an excellent option. When you pay your fee each month your hospital cover will pay your account of your hospital accommodation, as well as the admitting doctor, anaesthetist, and other approved or needed professionals. 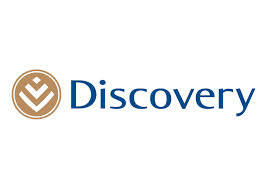 For cover you have to go to Discovery Keycare doctors or hospitals on the network. If you are looking for medical aid from Discovery, it might be best to look at all the Discovery medical aid options and compare what will be most suited. 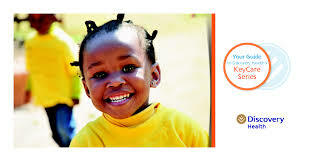 Discovery medical aid plans suit the individual’s needs. A member can choose of three options: Keycare Plus, Keycare Access and Keycare Core. With this plan, members have unlimited cover during hospitalization when they go to any hospital within the Discovery Keycare hospital network. This plan covers specialists up to R3000 for each person and any causality visits within the network. Covers cancer treatment if it is a Prescribe Minimum Benefit,but a network provider will be provided. The Trauma Recovery Extender Benefit allows payment for any out-of-hospital recovery after a certain traumatic event within that same year, as well as the year after trauma. The plan also covers approved chronic medication from a pharmacy listed,if prescribe by a GP on the Keycare network. During hospital accommodation, members have unlimited cover for trauma, emergencies, childbirth and care of a newborn. Member can use any hospital listed in the Keycare Access network. Cover for members’ approved chronic medicine if they go to an approved pharmacy listed, but doctors on the network list must write the prescriptions. Specialist cover for up to R3000 in terms of emergencies, childbirth, trauma and this includes cover for you baby up to 12 months after childbirth. In case of casualties, that excludes emergencies and trauma; members have cover for one visit within the KeyCare Access and network groups. Just like with the Keycare Plus plan, the Trauma Recovery Extender Benefit will cover payment for any out-of-hospital recovery within that same year, as well as the year after trauma,after a certain traumatic occurrence. Cover for cancer treatment in a state facility if the condition is a Prescribed Minimum Benefit. Unlimited hospital coverage form members within the day surgery network. No day-to-day cover but specialists are covered for up to R3000. Any GP can prescribe your chronic medicine. In the case of cancer, treatment is covered if it is a Prescribed Minimum Benefit. No Trauma Recovery Extender Benefit is offered.